View our Tower Clocks at the bottom of this page. 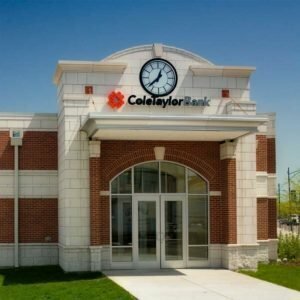 A tower clock is typically one, two, three, or four clocks as a set, located on an upper extension of a building. Many tower clocks are located on buildings but they can also be found on free-standing towers or structures, such as cell phone antennae towers. Tower Clocks are large, exterior clocks, with or without illumination. 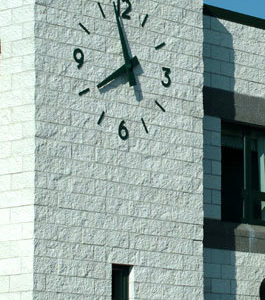 The clocks can be run by independent or central clock movements. 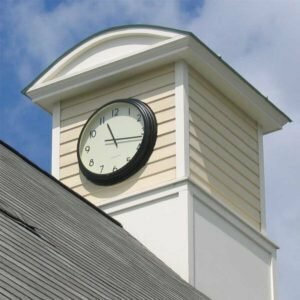 Once common mechanical tower clock movements have been superseded by modern maintenance free electric clock movements with their associated electronic controllers. 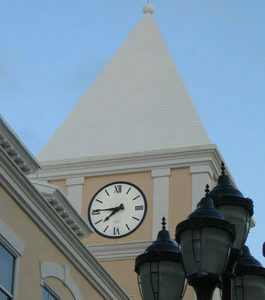 Electric Time Company manufactures a wide variety of Tower Clock designs. 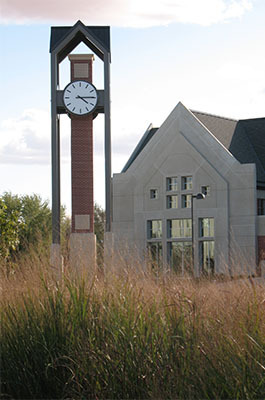 Lighted Tower clocks are available backlighted, halo lighted, or edge lighted with LEDs. Custom designed tower clocks are limited only by your imagination. A wide range of standard dial markings and hands along with special dial lettering and graphics are available. Please click on the links on the left or the products below for additional information. Since 1918 Service & Support – Electric Time has been manufacturing clocks since Henry Warren’s original electric clock patent of 1918. Unique in the industry, Electric Time can still fix products more than 80+ years old. UL & CUL Listed – Electric Time Company lists its clocks and controls under both UL and CUL (Canadian UL) standards. Integrated Manufacturing – Electric Time manufactures the clock movements, the clock controller and the entire clock. We can provide parts for your clock, if it is two, twenty or eighty years old. Our clock movements are made of brass and stainless steel, they will not rust and will provide decades of reliable operation.